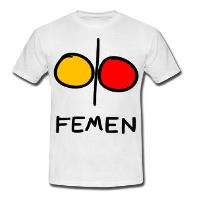 GO FEMEN! Good footage and edit and strong music. You brought, again, tears to my eyes because of your strenght! We are inspired by you all over the world. No weapons. Bare and pure! RESPECT! This entry was posted in English on May 17, 2013 by Lara.